Karatbars International is a global e-commerce business operation in the mining and metals industry. The e-commerce company was launched by Harald Seiz in 2011 and specializes in selling gold bars. The company distributes these gold bars through affiliate marketing efforts. The financially secure, debt-free, and fully self-funded company's headquarters are located in Stuttgart, Germany. The company has another office in Munich. Germany. In the past three years, Karatbars International has spread across 70 countries with plans to expand into over 194 countries worldwide. Karatbars claims it has a logical, affordable and universal solution to the world's debt and currency crisis through the purchase of its gold bars. Proceed to the Karatbars International website. Select either "Become an Affiliate" or "Become a Customer" depending on if you'd rather simply buy products or sell them. Create a username, password, and enter your email. Karatbars are real gold that is embedded into a heat-sealed UV protective plastic card. The 1 gram 24k gold bars are fully insured and shipped with reliable, fast delivery. The 999.9 pure atakulche bars are produced by Atasay, which is an LBMA GDL Refiner. Each gold bar is stamped with a valid trademark and contain an assayer's signature on each unit. Hologram adcorns are placed on the reverse side of the credit-card sized bar for both security and visual appeal. Karatbars are purchased by first completing a simple form and meeting the requirements listed on it. Once the form is submitted, the purchaser will receive an email that includes a form that must be signed electronically and submitted. An account is created once the submitted papers are received. A Karatbars International executive will then call the new purchasers to discuss options and the process involved in purchasing the right metals for the best retirement benefits. Once a metal is selected, it is then sent and locked within a bricks depository within seven days. The purchaser will receive an email notification when this process is complete. The motivation behind buying gold stems from the purchaser desiring to counteract the effects of currency depreciation, inflation, and economic instability. Gold is considered to be a universal investment accepted by all, and can easily be converted during times of economic turmoil. There are several different options available for those who want to sell Karatbars. The free account is for those who only want to buy gold. The affiliate accounts are the bronze, silver, gold, and VIP packages. Initial startup costs range from $135-$2,100. Commissions are determined on the size of package selected and range from 5-20 percent. The company's website is not designed well. Some links do not work and the information provided is vague at best. The compensation plan is not well explained and it takes consumers quite a bit of digging at best to piece together the company's offering. Commission percentages in the company's Binary Compensation Plan are very low when compared to similar competing business opportunities in the multi-level marketing industry. Lead generation and recruiting skills are incredibly crucial when running a multi-level marketing business. These skills require strong marketing capabilities, which is not a strong suit for most people. Individuals who do not have an extensive business or sales background will most likely want to seek out as much training as they can get in regards to these skill-sets. Most companies provide basic training only in these areas. For example, new distributors are taught to reach out to family members and friends in order to sell products or join the downline team. This rarely works effectively and a new recruit risks alienating close loved ones with overly pushy tactics. It is better for a new recruit to market online and offline to strangers often referred to as "cold markets". Without proper lead generation techniques, a new distributor has a significant chance of failing in the new business venture. 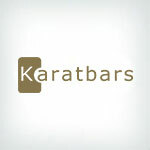 Karatbars International is a global e-commerce business operation that specializes in selling gold bars. The financially secure, debt-free, and fully self-funded company distributes these gold bars through affiliate marketing efforts. Karatbars claims it is a logical, affordable, and universal solution to the world's current debt and currency crisis. The company offers seven ways for affiliates to earn income through its binary compensation plan. Commission percentages are very low when compared to similar competing business opportunities. The company's website needs significant improvement in explaining the compensation plan and in overall appearance. Karatbars International has been in business since 2011 and operates in over 70 countries. Current global sales revenue figures for the company are unknown at this time. Consumers are advised to investigate the opportunity thoroughly before deciding to invest in order to determine whether or not it fits their unique situations. 9 weeks as a KaratBars Affiliate. Total customers sponsored: 30, total downline (so far) 227. Total commissions for this 9 week period is already a half time income. Total number of KCB coins collected through bonuses and incentives: 6 figures. Upline support is fantastic. Downline team building is actually fun. I have customers in 15 countries. A truly grateful customer. I have been with Karatbars only a few months. I have not got that many people who have bought packages but I still get paid go my Karatbars MasterCard every Friday without fail. I get to treat my kids every weekend now and before that was a struggle. I highly recommend this company if you want to earn from home. I have been an affiliate since November 2017, for one small fee you can earn a perpetual residual income with minimal efforts just by recommending and helping others to do the same. Some will get there faster and for some will take longer, depends on how much of your time you will invest. One thing is guaranteed, no subscription, no renewals or fees of any kind The things that are happening right now are revolutionary, history is been made with the ecosystem: the cryptocoins (KBC & KCB), Karatpay (Gold Digital Payment System), Karatbit (Digital Exchange), Karatbank (The first ever to host Crytos, Gold and FIAT currencies) voice over blockchain mobile phone, first ATM to withdraw cryptos, physical gold and Fiat currencies by the end of this year. What are you waiting for? is time to join the future of Blockchain and the future is now. Meeting new people who becomes your loving family is the best, my sponsors went, and still do, out of their way to help me. The company is all about people who care for one another. I bought the Premium Professional Package and I help others too. Not regretting it at all. Patience with Support desk keeps stress away, and when they get back to you the feedback and results are positively great. I joined Oct 2014 in South Africa....I will never leave this company...Best compentation plan...I am a tourist in my own country. The vision of Karatbars and the exemplary 10+ Income Streams that are available to every affiliate to earn are like no other Companies on the planet. I have been involved with Karatbars for 3yrs and have had truly zero issues that were not resolved. You have to understand that this Company has over 530,000 Affiliate Members and you simply cannot please every person in the World with that kind of volume. All of my product orders have ALWAYS been shipped to me with no issues at all via FEDEX. The Company has NEVER missed a pay period which is a minimum of 5 times per month paid directly to a Karatbars Branded Mastercard Debit Card. They have issued every incentive promotional reward and they continue to develop the highest and most trusted financially rewarding products and services. Karatbars is not just GOLD, it has TWO Cryptocurrencies backed by REAL PHYSICAL GOLD & it's very own BANK, Crypto ATM's, first ever Crypto Bank opened in Miami (2018), first ever Crypto Cell Phones built by SONY, owns a GOLD MINE in MADAGASCAR worth over $1.1Billion in mined GOLD, created it's very own first ever DUAL LAYERED BLOCKCHAIN TECHNOLOGY plus is opening Nov 1, 2018 it's very own Crypto Digital Exchange. This Company rocks!!! 5 STARS RATING from me everyday! For a company that boasts huge profits, deals in gold, creates or pays for flashy websites, etc, etc, but ALL its processes are shrouded in mystery, I am unable to find a shred of credibility. In my short time as an affiliate there is NOT one transaction I can make on their website without needing the assistance of their local reps. Even just purchasing one of their "packages", one will be left hanging somewhere not knowing whether the purchase is successful or not. Try understanding their Gold Cards, Gold Coins, Metal Bars, Tokens and all the other jargon meant to confuse! I will stick to Fiat. I know I've got 10 dollars when the bill in my hand reads 10, even if it is just for that moment! And one more thing....they have no helpdesk! Conclusion: This smells like scam. Amazing ecommerce experinced linked to a concrete wealth building plan. I'm proud to be established as VIP myself. I have built a sales organization pretty fast and at amazingly low cost. I have been a business affiliate with Karatbars for 7 months now, and I have no regrets. The company is truly innovative. There is no pressure put on anyone, and you can make it what you want it to be. The more you put in, the more you'll get out. Don't get me wrong, it's not an easy ride as an affiliate, but if you're prepared to put in the effort, you will be excellently rewarded. My upline Gold Director is amazing with the amount of work and effort he puts in for our benefit. Karatbars is an awesome company and I recommend it to anyone out there. Excellent company with true innovation behind it. Would recommend to anybody who either wants to start a business or start saving in gold. Their K-exchange centres, where you can use the physical gold to purchase goods or services without being forced to convert to cash - is also especially innovative. Great company ! Owning physical gold is the best! No Investment. It's real money. Only a few actually make any kind of money. It is alot harder than they make it out to be to make a go of it. We joined the company a month ago and have already recovered appx $1,400.00 USD. I love the product and the support is wonderful. Direct marketing is a sorting job, one more no is just a little closer to the next yes. You get out of it what you put in. We love this company, gold for the masses, what is not to love. Our sponsor has been wonderful and very supportive. No inventory, no setting up tents, just talking to people. The VIP Exclusive Package is a fraud and completely not true what the company said about it! I, and others many affiliates spent $10,000 in a package with the promise from the company of a big and fast money return plus profit, and after almost three years with that business package, the return has been less than $400 in total, it is to say around $133 per year. For example we are waiting one payment of $103 corresponding to first semester 2016. In other hand, after you finish with your hot contacts or family members and friend, your red or organization became dead and you never earn a single dollar. Bottom line: if you do not enter people that buy new packages or franchises, you loss your money and never recover it. Another thing: karatbars gold is almost one and a half time expensive that gold from another companies. I spent my money and my time and never recovered my investment. I do not recommend this company. Excellent company with unique products. Delivers on everything it promises (unlike some other companies out there). On comment of low compensation, the aim is to offer gold in small quantities at a competitive and affordable price point. All links on the website seem to work just fine. On comment of lack of training, join karatbars academy and/or join one of the many facebook groups and get free training from your upline and others in the network. Gold is one of the most discussed topics on a lot of internet finance/investment sites now, so loads of free information available for those that want to educate themselves on sound money and savings that do not evaporate due to inflation or currency devaluation. 999.9 pure 24K gold bullion sold in 1, 2.5, and 5 gram bars. Gold can be stored or shipped to you. Karatbars has gold cosmetics, sunglasses, special edition Karatbars, and also a create your own Karatbar.